Your resume is what defines you when you’re going for a job. Most of the employers you apply to work for will never meet you. They won’t say hi. They won’t know how friendly you are. They won’t see how attractive your smile is. They certainly won’t have any idea how good of an employee you’d be. You’re nothing but your resume. If your resume doesn’t work then you probably won’t either. Caphice? 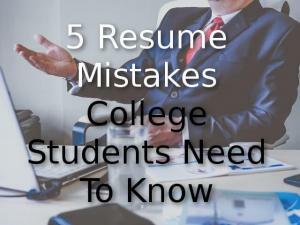 Your resume is important as a college student. Your resume can help get you internships, jobs, and other opportunities. Or… it can keep you from getting them. By the end of this article, you’ll know how to impress employers. More importantly, you’ll know how not to scare them off! This is an innocuous sounding sentence but it can lead many students straight into a major resume faux paus. 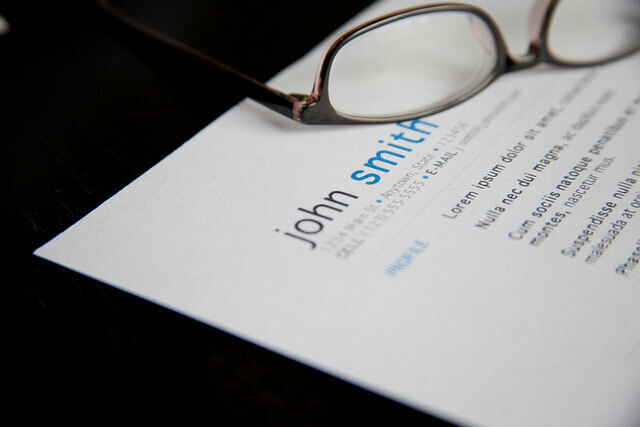 Most of the world discusses resumes in an ambiguous way that makes this mistake common. You shouldn’t just have a resume. You should have multiple resumes. You can get away with a single resume template but not a single resume. Every time you apply for an opportunity, you need to rearrange and adjust your resume. What does the ad for the job list as important? Make sure those points are near the top of your lists. Make sure those sections sound impressive. Make damn sure those aspects of your resume get noticed. 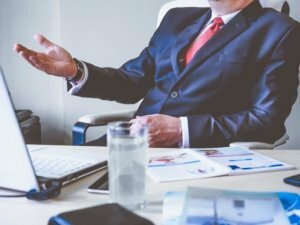 Does the employer say you need experience working with Office programs? Move that near the top of your list of skills. Maybe even make it bold. You don’t need to write detail oriented. Just be detail oriented. That’s easy on a resume. Just don’t make any mistakes on it! This may surprise you but 10% of resumes I’ve seen in my life have obvious mistakes. That is not detail-oriented. Don’t just write about how good you are. 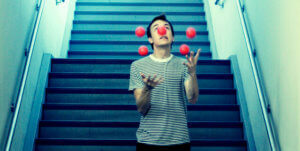 Find ways to show how good you are. If you want to say you’re hardworking, show that you’re hardworking. Did you take extra classes during the semester? Do you have a side-business? Do you work and go to school? How can you prove that you’re hardworking? If you can’t prove something then consider not even writing it down. If you avoid the cliches then many people will assume you’re doing bare bones business writing. That’s a skill in itself. If you’re a college student then you probably don’t need more than a single page for your resume. The more simple you keep your resume, the less room you have to screw it up. 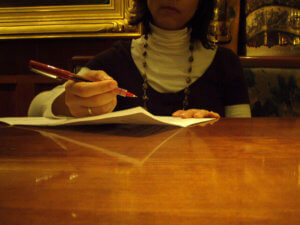 The goal of a resume is to get you an interview. It’s not meant to provide a complete overview of your life. 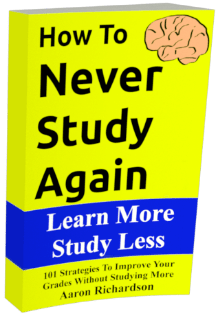 Eliminate the fluff and avoid including any facts that aren’t productive. You don’t have to list every job you’ve ever had. Use your resume to highlight accomplishments first. Naturally, as a college student, your accomplishments can look sparse. Creating accomplishments should be a major priority but until then you can add less relevant details that are productive for other reasons. For example, one student I talked to mentioned their fast food job while applying for an engineering job. Normally, employers really wouldn’t care about that. Since this student had little other experience, it was almost a necessity to mention it. More importantly, that fast food job lasted 4 years. Surviving 4 years at a crappy employer is an accomplishment in itself. 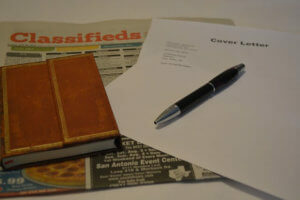 There are situations when you can consider a less simple resume. In fact, going completely out of the box can improve your chances in a crowded market. It can add to your credibility. It can do some amazing things for you but it comes with some serious volatility. For every employer that appreciates your creativity there will be 5 that make fun of you for it. Does it increase your chances of getting a job? Maybe… Differentiation is big in marketing anything. Can the average person pull it off? Can they handle the criticism? Can they risk alienating limited employment opportunities? Usually no. Keep it simple. A resume doesn’t need to get you the job. It just needs to get you an interview. Never send out a resume that hasn’t been checked repeatedly. One spelling or grammar mistake on your resume will get it thrown out by 90% of employers. The other 10% will not take you seriously until you prove otherwise. A spelling mistake on your resume is like going to a job interview in a stained t-shirt. It’s telling the employer that you don’t really want to get the job. You may be applying but plenty of people send resumes out. Some do it just to keep practicing interviews. Some are just looking to get people off their backs. Some just want to keep getting unemployment checks. If you leave mistakes then you’d be lucky to be thought of in these categories. More often than not, they’ll just think you’re an idiot. Don’t send it yet. Check it again tomorrow. Then… if you have time… wait another few days and repeat. If you’ve sent out hundreds of resumes then you’re probably doing it wrong. You’re not spending time doing things that actually get you jobs. Don’t expect to get a job answering wanted ads. Sure… you might get one once in awhile but that’s an accessory to your job search. It shouldn’t be your job search. Let’s say you send your resume out and get an interview. In an uncompetitive job, many employers will interview a couple dozen people. Are you more charismatic, intelligent, or convincing than a random sample of 23 other people? 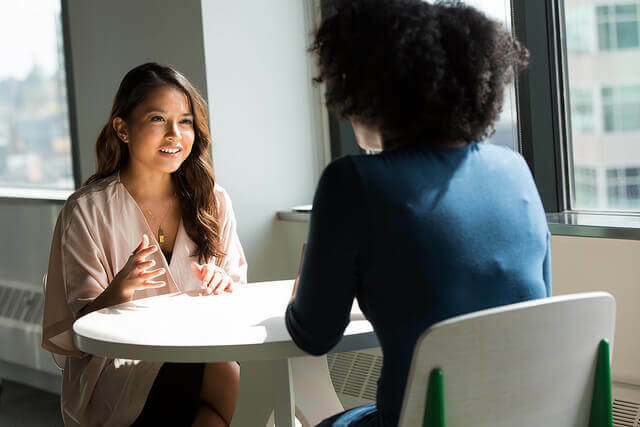 If you happen to be that one in a million person that’s top-notch during interviews then no matter what job you’re applying for, just switch to sales. If you’re more average like the rest of us then look for a better way of getting the job. Networking through friends and family is ideal. Networking through classes or professional events is okay. People are much more likely to hire an known person than a random resume. Even if you interview poorly, you can still beat out the average person the employer doesn’t know. Be so extraordinary that they couldn’t dare pass you up. Well… that’s a whole article in itself. Seriously… resumes are good but being a good person will get you way farther. One of my friends called smith had shown great performance in an interview but In his resume, a simple spelling mistake didn’t get him the job.So, I think spelling is one of the most important think. “Your Resume Will Not Get You A Job”agree with you. Your resume only carries your identity only. I’m def gonna use this. Graduation is coming fast. Should I put down my job as a waiter? The job didn’t end well. I left on bad terms. I worked there about a year but I’m thinking I can leave it off because I had a solid internship. I’m afraid putting it on will raise questions that I’d rather not answer. I’d put it on and just be super prepared to answer the questions about it. In fact, it might be worth volunteering the bad parts so you can put them in context before they get the chance to. One year experience can be a notable boost if that’s your only employment experience.